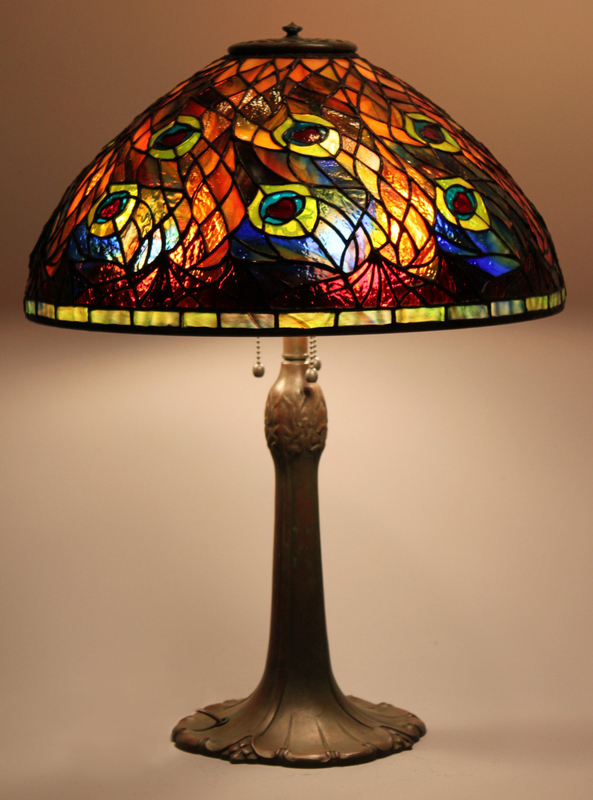 Our Tiffany Reproduction Lamp Workshop has been taught by Nancy Alexander and Tami Bogdanoff for the past 10 years. After our breathtaking 10 year anniversary show in May of 2014 the teaching reins were passed to Carol Doherty and Jackie LeFrancisco. 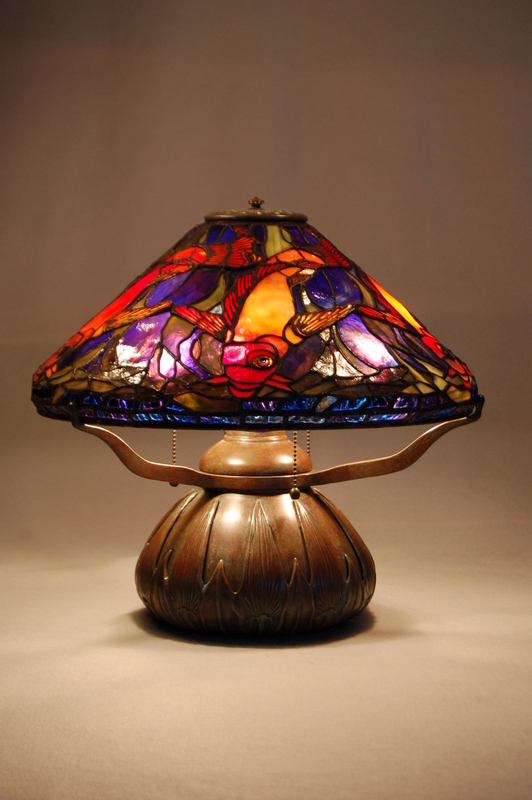 Creating these authentic reproduction lampshades may seem overwhelming for many stained glass artists, but even if you are a beginner, our skilled instructors will take you through the process. 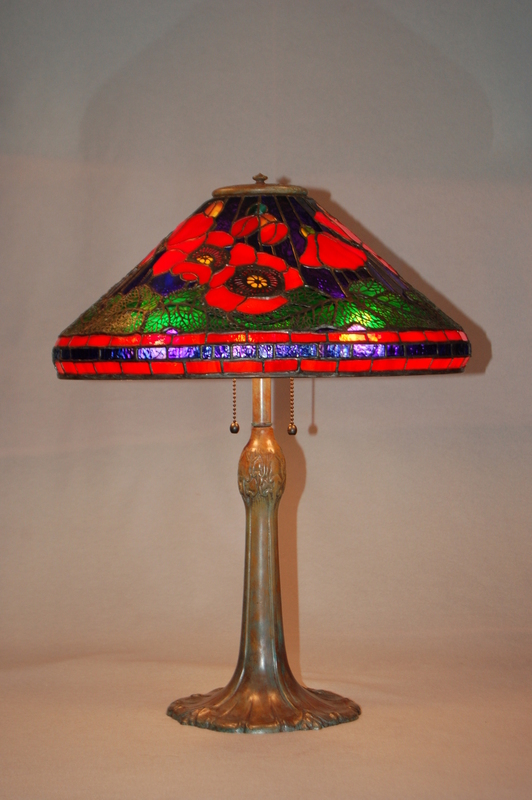 You will enjoy an heirloom quality shade for years to come. This class starts initial planning in the summer each year, meets a few times in the fall and then gets going strong during the winter months. We celebrate with a show each spring showing the results of the student’s hard work. instructor prior to first night to discuss their lamp and glass choices. 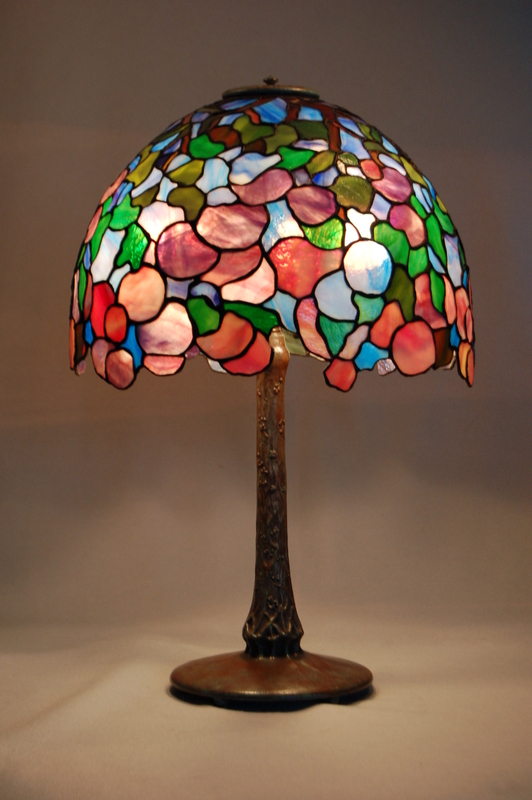 with glass plating and incorporating plating into a lamp or window panel. Future class are every other Saturday at 4:30 pm. creating an heirloom to be treasured in your family for generations to come.